IIFET’s Executive Committee has named Dr. Rebecca Lent to receive the Distinguished Service Award at its upcoming conference, IIFET 2018 Seattle, where she will present a keynote address. A primary goal of IIFET is to foster interaction among individuals from around the world, and from every professional orientation--academia, trade, government--to encourage the application of economic analysis to fisheries policy questions. Throughout her career in academia, government, and international agency service, Dr. Lent has strongly exemplified IIFET’s goals, providing an outstanding example of how economic analysis can be brought to bear in service to the development of informed policy. 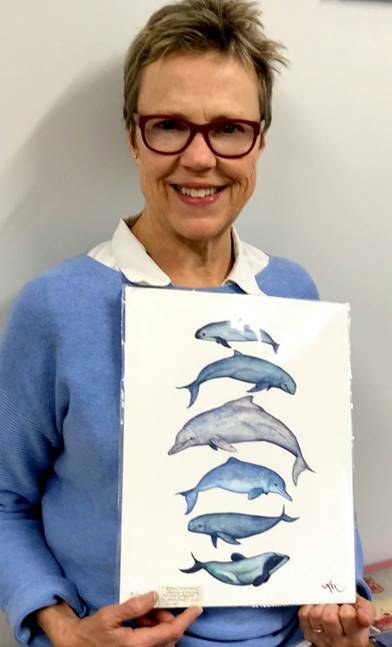 Dr. Lent’s career in fisheries economics began in 1975 at San Diego State University, where her Master’s thesis explored the socioeconomics of the California swordfish industry. In 1977, she moved to Oregon State University, where she researched markets for Pacific Salmon to assist the Pacific Fishery Management Council to implement the Magnuson Stevens Act. She was among the first researchers to break through barriers between industry and academia, to provide information vital to effective fishery management. During her doctoral studies, Rebecca carried out field research, again integrating data and perspectives from importers, exporters, researchers, and fishermen’s organizations in several countries. During her graduate career she won the Robert Johnson Fellowship and Walter G. Jones Memorial Scholarship and Bayley Fellowships, in recognition of the quality of her work and ability to cross both national and professional boundaries. Dr. Lent was instrumental in the founding of IIFET, by forming an international group of fishery researchers and building a collaboration between Oregon and Alaska Sea Grant programs which culminated in the first IIFET Conference, held in 1982 in Anchorage, Alaska. Following a post-doc in France, she moved to the University of Quebec, hosting IIFET’s third conference there in 1986. Bringing in a large number of participants from Africa and Asia, this conference formed the early foundation of IIFET’s network in the developing world. Rebecca then moved to Laval University in Quebec City. In 1992, Dr. Lent joined the Highly Migratory Species Division of NOAA Fisheries. After five years she was promoted to Division Chief, where her involvement in fishery management required her to communicate effectively about the costs, benefits and tradeoffs of difficult decisions with stakeholders and the media. She held several senior posts, including Regional Administrator (West Coast) and Deputy Assistant Administrator, and in 2005 was appointed Director of the Office of International Affairs. She served as the U.S. Commissioner to two multilateral regional tuna organizations and led multiple bilateral negotiations. Rebecca joined the Marine Mammal Commission in 2013 as its Executive Director, leading an organization providing recommendations to minimize impacts of various federal agencies on marine mammals. In January 2018, she became Executive Secretary of the International Whaling Commission a 70-year old international organization based in Cambridge, UK, charged with multilateral oversight of global cetacean science and stewardship. It is for these multifaceted achievements in improving interaction among disparate professional orientations to build understanding of the economic aspects of fishery and marine resource management, and for working across national boundaries to achieve international collaboration on critical marine resource issues, that Rebecca Lent was selected to receive IIFET’s Distinguished Service Award.